Can I just tell you how excited I am that brussels sprouts are back in season? I am very, very excited. They are my favorite vegetable side dish! (Not counting potatoes. Potatoes trump every other food and are so awesome they are in a category all their own, in my opinion.) People that don't like these tasty little sprouts of yumminess are seriously missing out. 2. Never had them prepared this way. Brussels sprouts that are simply seasoned and roasted to golden perfection are absolutely delicious and so easy to make. Sprinkle some salty parmesan cheese over the top and it makes them out-of-this-world good. I can almost guarantee that if you don't already think brussels sprouts are delish, after you try this recipe you will! My husband and my four year old love it when I make these! Preheat your oven to 350°. In a large bowl, gently toss the brussels sprouts with the garlic, olive oil, salt and pepper. 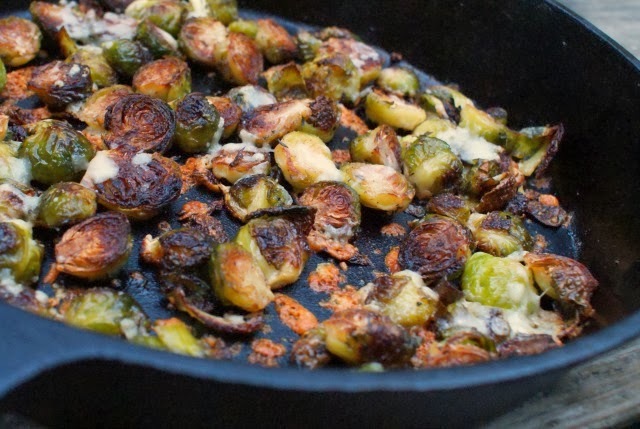 Place the brussels sprouts into a cast iron skillet and turn them so they are cut side down. Roast in the preheated oven for 15 minutes. Stir them around a bit (it's okay if they flip over now) and return to the oven for another 10 minutes. Sprinkle with the parmesan cheese and return to the oven for 5 more minutes. Some of the leaves will be browned and crunchy. They are my favorite part! 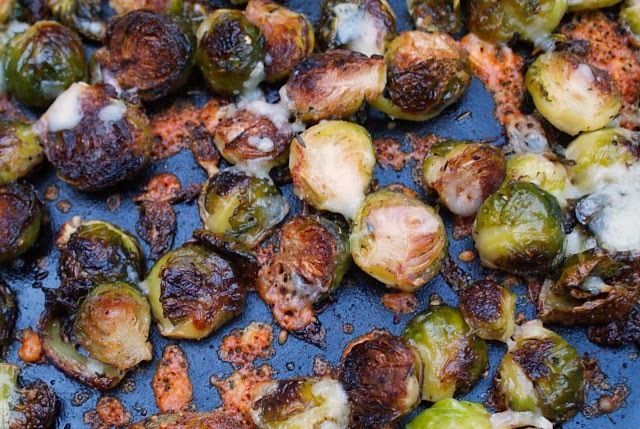 Source: Adapted from Roasted Brussels Sprouts from Simply Recipes.